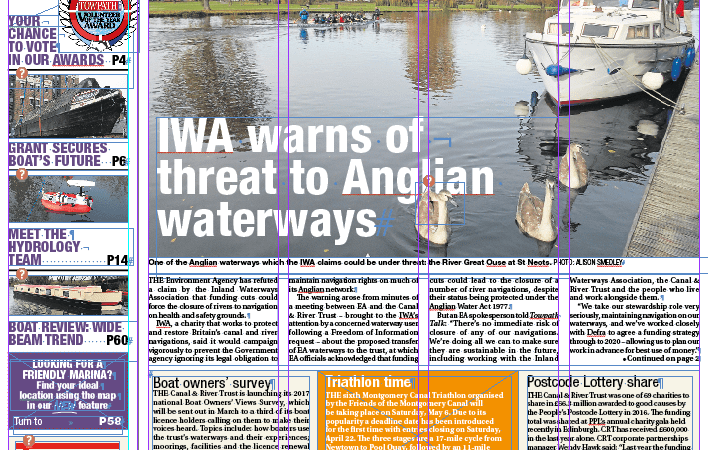 It’s that time of year… the sun is starting to shine, the birds are singing springtime tunes and, slowly but surely, the British waterways are shaking off their winter slumbers. 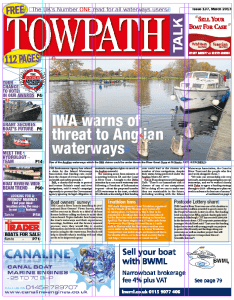 So why not join in the joyfulness and take a trip along the towpath to pick up a copy of the latest Towpath Talk from your nearest chandlery or marina – or if you don’t live near an inland waterway, you can subscribe for less than £10 per year. Now that’s a bargain to knock the socks off the seasonal sales! Here’s just a taste of what’s inside the March issue. If you’ve been cheering yourself up watching some light-hearted TV, you may well have seen the new Channel 5 series Celebrity Carry on Barging. Actors Nigel Havers and Simon Callow have teamed up with Loose Women panellist Lorraine Chase and presenter Debbie McGee to highlight the sights and sounds that boaters enjoy on a regular basis. You’ve still got time to see the show, as the series doesn’t end until Friday, March 3. There’s plenty of news in the March issue, along with a busy What’s On section that’ll give you chance to plan some great days out in the coming weeks. Tim Coghlan of Braunston Marina gives an early insight into plans for the 15th Braunston Historic Narrowboat Rally & Canal Festival in June, and if you’re planning a holiday we’ve got some fantastic ideas for narrowboat hire. The stargazers among you will enjoy towpath astronomer Brian Jones’s latest look at the heavens, which this month features Ursa Minor, or the Little Bear. There are down-to-earth tips from Ben Sutcliffe-Davies about gas locker safety and plenty of new products to pore over – including tea in a recyclable can! You may be thinking about buying a boat for the first time, or maybe upsizing or downsizing your existing vessel. The 112-page March issue is packed with boats for sale, plus marinas and moorings, and all manner of products and services to send you smoothly on your way to a new adventure. Phillippa Greenwood unlocks the secret of how a lock works in her latest article, with glorious photographs by Martine O’Callaghan illustrating the variety that can be encountered across the country. Cracker the boat horse offers more canalside news straight from the horse’s mouth, while Anna Pettigrew gives our tastebuds a treat with her latest recipe, a healthy but delicious spring onion macaroni cheese. 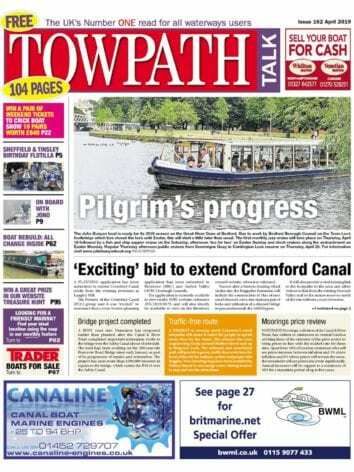 Yes, in Towpath Talk we’re cramming spring into everything!